If you want to get your shop or product noticed, I think you should consider that in the beginning, any publicity is good publicity. I'm here to tell you not to underestimate the power of your peers. Getting featured on a blog is a free service often overlooked. 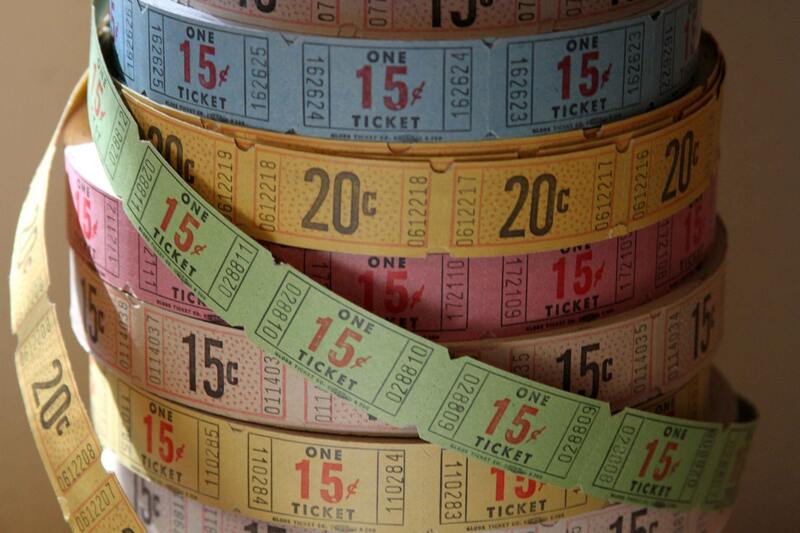 Blogs can be the ticket for increasing exposure. Vintage tickets at Chrystelle. If you want to get your shop or product noticed, I think you should consider that in the beginning, any publicity is good publicity. I’m here to tell you not to underestimate the power of your peers. Getting featured on a blog is a free service often overlooked. Let’s talk about small time or starter blogs. Many new bloggers (or even seasoned bloggers for that matter) are looking for key content for their blogs. Some will ask you to follow, in exchange for a feature, advertisement, or article. It is advertised again and again in the Etsy Forums, if you don’t believe me, just search for “free blog features” or “need content for my blog” and you will see ongoing threads about it. This search reveals 22 pages of willing bloggers just waiting to feature your shop for free! There’s even a few posted in the Handmadeology Etsy Team forum right now! Hint: Look for the “Submissions Tab” on your favorite blog. Sometimes you can send tips! So why aren’t you taking advantage of this? You may have to write a short feature on your product or shop, but who better to do this than you? Now some of you may gawk at or are worried that a new blogger may not have any views, or visitors. Can this really ruin your reputation? I believe it’s a good sign in the sense that this blogger is looking for good content to work on their blog, and in turn get their blog noticed. Remember even key blogs or sites had to start out with zero readers and no posts too…. *Links to your items, shops, and products. These links may increase in importance over time. If the blog is widely read the blog may increase in page rank and readership. In turn, the page your feature is on, may get more rank. More page rank means the links will gain credibility, helping placement of the links to your products. In a nutshell, more placement means more visitors to read your feature or visit your shop or product. *The ability to write the best information about your product or service comes from you. Many times you will be asked to do an interview or write a synapses on your site or product. So this is a great opportunity to say what you want about your product! Free blog features are a win-win. 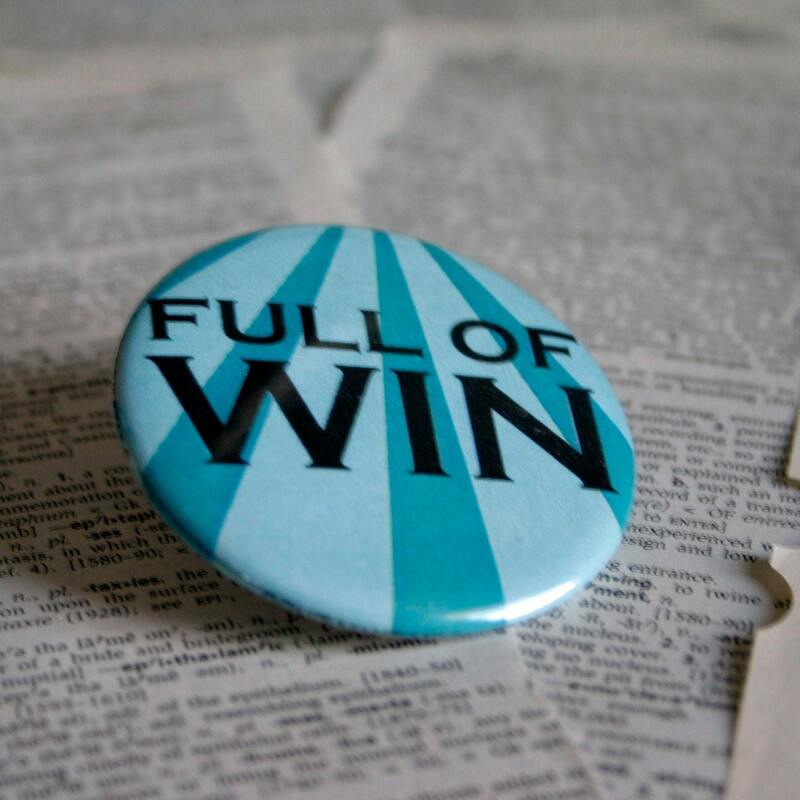 Full of win pin by GeekDetails on Etsy. ~Try to find the blogs that will do free features or interviews versus free ads. The ads will expire and be removed but the feature pages will most likely remain. ~Guest Blogging can also pay off for you and accomplish the same results. Guest blog on Handmadeology! ~If you have a favorite blog, check to see if you can guest write, or submit tips! Anyone be interested in a blog exchange? I’d be happy to feature (non-competing) shops on my blog in return for a feature on yours. Oops, this link above works better for my site. Convo me on Etsy for a blog exchange feature. Thanks. I would love to have bloggers as guests on mine. You decide on the content you want to share. Ideally it would be a cool tip, small how-to, great advice, anything really. In return for your cooperation, your bio, links to all the places you can be found online and you mini etsy, or AF window will be featured on your post. Send me a message if you are interested. Maybe we can swap content with each other’s blogs. Hey blog swapping is a great idea! Great stuff (as usual)! Helpful ideas, I’ve never thought of looking in the forum posts for opportunities! I’m still very much in the learning and growing stage on Etsy, so I’m not sure what I could contribute to a blog…I guess courage helps, too! Thanks for encouraging us to branch out and move up. I am not at a point where I would have guest bloggers yet, but I am filing this away for when I am. Good post, very interesting way to get some traffic. I feature artists on my blog on Mondays. Check here for submission guidelines if you’re interested: http://artisticexpressionsbyelisabeth.blogspot.com/p/submissions.html. I would love to feature on a blog or feature someone on my blog. Kanelstrand blog did a giveaway for one of my gift bags last week. I did gain a lot of new FB fans and hearts. I think it was great exposure. I would be happy to have an Etsy shop promotion exchange on my blog. If interested, please e-mail me. Hey, great article. I would agree with this, I have started running a “buy handmade” feature on my blog along with interviewing crafters and it’s bought them all sales off the back of it and my blog is only fairly new. I scan sights such as etsy and folksy for items that I think are interesting of fit a particular theme (e.g. a recent Father’s Day theme I did) and just message people directly. Thanks Tim for article very helpfull as usual. Hope your day is a great one! You are welcome Dori… and thank you! Eye-opening! Thank you… I am a huge fan of Handmadeology – very helpful! Great tips Tim, thank you!!!! If anyone has any other ‘helpful hints’ to help me along please do drop my a reply! Thank you! Awesome tips for promoting Etsy shops! Thanks you for the great ideas! I’ll definitely be using them!! My wife and I are looking to have our pinback button business featured on some websites and blogs. This article was helpful. Thank you for sharing!